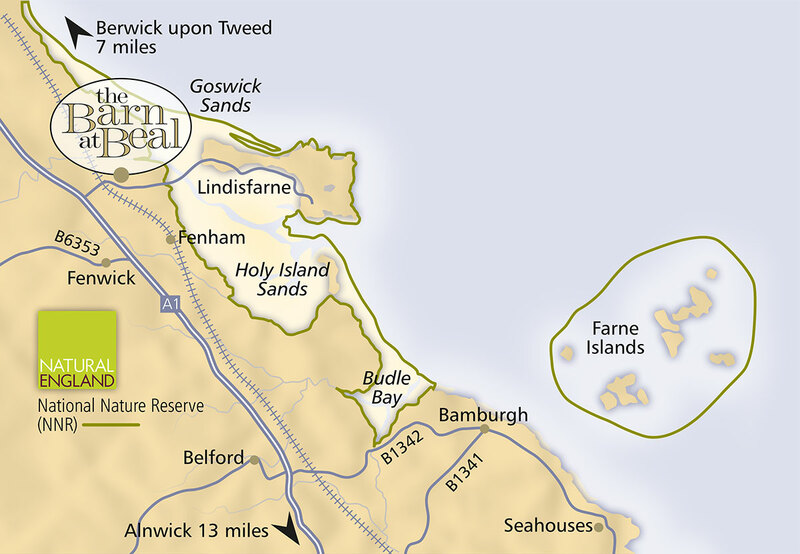 Ideally located close to Holy Island, between Berwick-upon-Tweed and Bamburgh in Northumberland. Beehill cottages are conveniently opposite The Barn at Beal Restaurant and Coffee Shop. A Quality Bed & Breakfast accommodation on a beautiful coastal spot overlooking Holy Island in an Area of Outstanding Natural Beauty and of Special Scientific Interest. Enjoy a luxury self-catering cottage holiday on a choice of two outstanding sites between the Holy Island of Lindisfarne and Bamburgh Castle. Experience Northumberland’s stunning Heritage Coast. We offer a choice of sixteen spacious, comfortable and well-equipped self catering holiday cottages, and one restored 18th century tower. We are dedicated to sharing our portfolio, hidden gems filled with personality, warmth and charm. We have Holiday Homes and Cottages in Northumberland, the Scottish Borders and East Lothian. Explore our exclusive, handpicked portfolio of holiday homes and cottages for 2 to 24 guests. St Aidan’s Winery on Holy Island is the home of the world famous Lindisfarne Mead and Lindisfarne Preserves. Delicious sausages –gluten-free also available. Doddington Dairy in Northumberland makes real dairy ice cream and cheese from their own farm. Pure, natural nut butters with no additives. Based near Morpeth Northumberland. The Holy Islanders’ web site with information on heritage, community, and information for visitors. Including tide timetables. Berwick-upon-Tweed is a coastal town with four sandy beaches and beautiful riverside walks. This peaceful town has Elizabethan walls built to keep invading Scots from entering the town. Walk the Walls, taking in spectacular views across the Tweed and the three bridges. Explore Berwick’s history by visiting museums in Berwick Barracks and The Main Guard. Take a tour of the town’s old courtroom, jail lockups and notorious ‘drunk’s cell’ in the upper floors of Berwick Town Hall. Enjoy a great day out at Bamburgh Castle. Explore 14 public areas, learn more about the castle from our friendly knowledgeable guides and new audio tour. Watch history being uncovered during live archaeological excavations. The old coaching village of Belford has a 18th century coaching inn, a doctor’s surgery, dentist, post office, chemist, launderette, craft gallery and a fish and chip shop.